OceanWise > News > Uncategorised > The Team go Sailing! 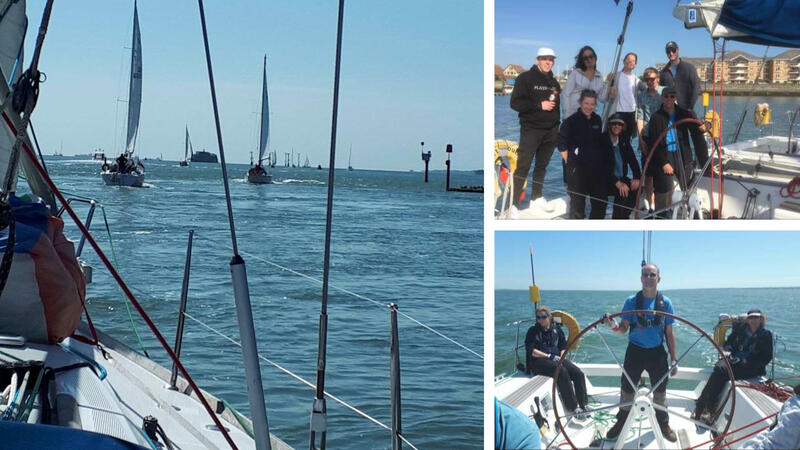 For our annual team building day this year, we all climbed aboard a Sunsail First 40 cruising yacht and enjoyed a beautiful day of sailing in the Solent. We embarked from Port Solent and made our way over towards Cowes, before heading back past the New Forest and Southampton Water. The OceanWise team has a range of sailing experience from very proficient seafairers to complete novices, but everyone took their turn at the helm and helped on deck. We all enjoyed the day and really made the most of the glorious weather. We even took a detour to check out one of our tide gauges located just outside Southampton!